The success rate of straightening teeth and improving smiles is now higher in London, with DS Dental providing a range of clear invisible braces for you. The range of products used in the therapy remains completely invisible and your treatment is completely discreet. Our dentists possess necessary skills and expertise to close gaps between the teeth and make your smile aesthetically pleasing. Our clear invisible braces are more efficient than traditional metal braces and we deliver you brighter and straighter smile. Interested in teeth straightening? Talk to our experts anytime you require their assistance! What are clear invisible braces? Clear invisible braces are basically teeth aligners made from transparent acrylic customised to fit perfectly into your mouth. These are popularly known as clear aligners or invisible braces and are very popular with patients for the discretion they offer. What are the benefits of clear invisible braces? 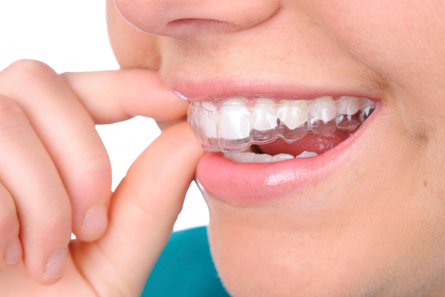 As compared to traditional metal braces, clear invisible braces offer greater comfort in the mouth. These remain discreet and can be easily slipped on and off when necessary. Slip it off before a meal and put it back afterwards. They allow you to brush and floss properly during the treatment period. How do clear invisible braces work? We use a virtual 3D treatment plan to customise the aligners for you. Once, our experts fit the braces, your teeth will gradually start moving in the desired direction. You will need to change the aligners, approximately, every two weeks so that the teeth continue to align. To ensure the best outcome, We recommend patients to keep aligners on for at least 22 hours a day to ensure most desired outcome. For further information on invisible braces, get in touch with our helpdesk now. How long will I need to wear the clear invisible braces? The treatment plan varies from case to case. For patients requiring mild teeth alignment, it may take about 12 months. However, the complicated cases may take more time which can be as long as 36 months. How much do clear invisible braces cost? The exact cost of your treatment can only be determined after our expert has examined you properly. We offer treatment at a cost that is competitive and affordable. We also offer easy and interest-free payment schemes for patients. Teeth straightening with clear invisible braces at DS Dental have a very high rate of success. 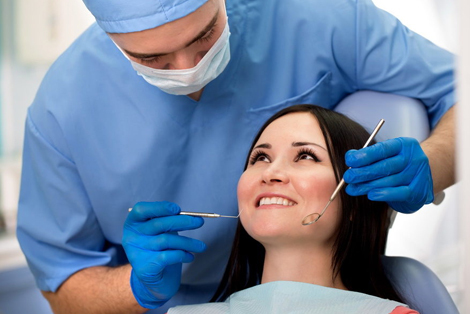 Come and discuss how our impressive service has helped you achieve your dream smile.